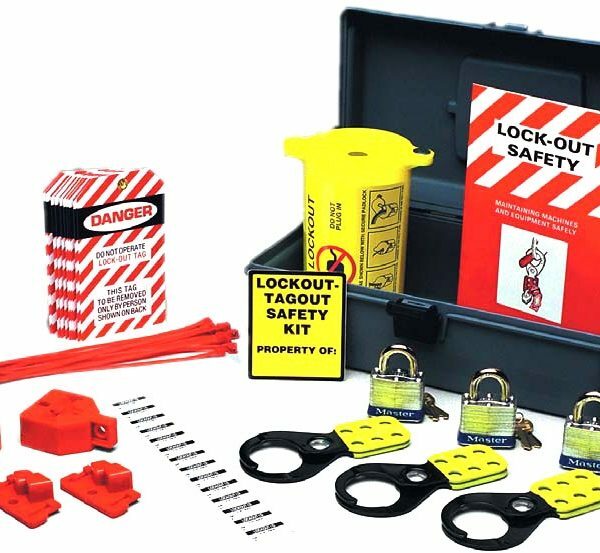 Lockout and tagout kits are recommended safety procedures to be used in industry and research settings to ensure dangeous machines are properly shut down and locked when undergoing routine repair and maintenance. Places that have dangerous equipment and hazaradous materials need safety procedures in place to protect employees from heavy equipment that can easily cause an injury. 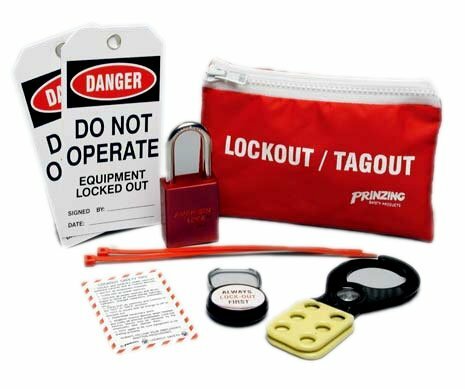 With lockout and tagout systems you can effectively lock the device or power source and tag it so people know not to turn the machine on. Many machines include hazardous materials such as hot fluids, moving presses, blades, electrical heaters and moving chains that can cause serious injury if someone gets too close to the machine. With lockout and tagout systems you can clearly identify so employees don’t make the mistake of turning on a machine that is being serviced. At 1st Aid Supplies we have a number of lockout/tagout systems that can be used in many settings to provide necessary safety precautions. What Does Hazardous Energy Mean? OSHA defines hazardous energy as energy from sources like electrical, mechanical, hydraulic, chemical, thermal, or other systems. During service or maintenance of these systems, energy can build up and release unexpectedly, harming workers. Proper lockout/tagout procedure isolates workers from potential sources of harmful energy and minimizes the risk of hazardous buildup. Durable – Devices must be able to withstand working environments. Standardized – Devices within a facility must share color, shape, or size. Substantial – Devices should require specialized tools like bolt cutters to remove. Identifiable – Devices must warn against hazardous conditions in clear, unambiguous language. Periodic inspections and testing of all relevant equipment and devices are also required by OSHA. All employees must be trained on proper LOTO procedure. 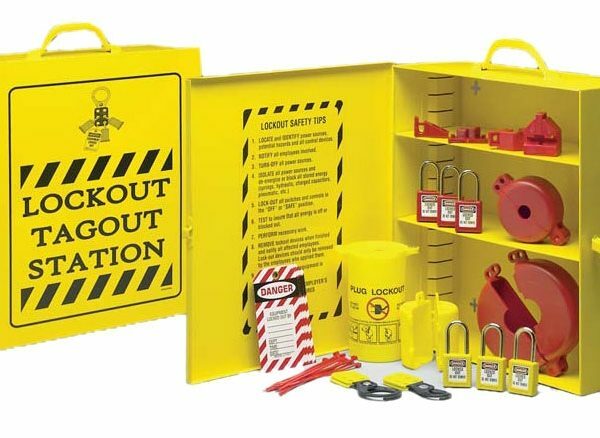 Lockout/tagout kits from 1stAidSupplies.com are OSHA compliant and have everything you need to protect your employees from hazardous energy. Shop now!